Taking photos away from crowds, dancing in a quieter area of venue helped Anne Williams enjoy prom. 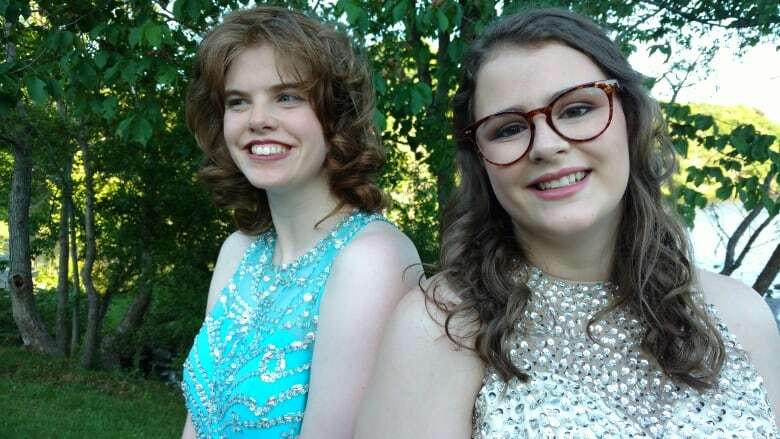 Grace Bowen-MacLean's decision to take her best friend Anne Williams to Prince Andrew High School's prom was an easy one. 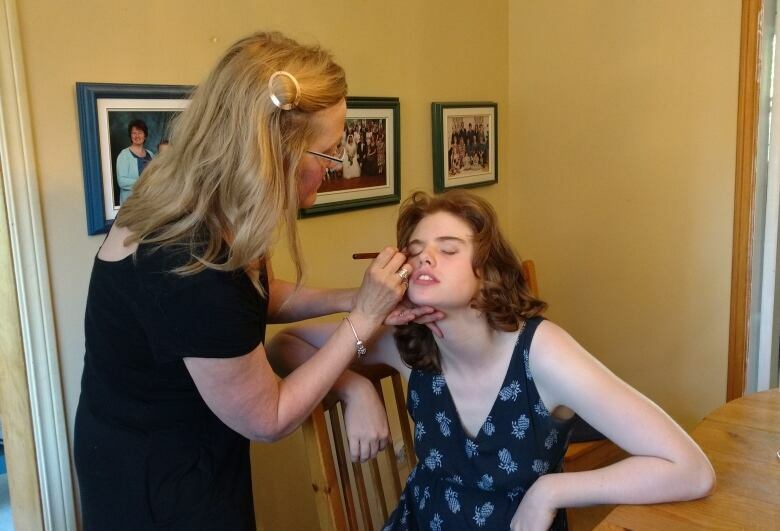 Anne was diagnosed with autism two years ago, just before her 17th birthday. Going to prom last week with Williams was not about making sacrifices and compromises, said Bowen-MacLean. "I wanted to bring her because she's my best friend and I knew she'd love it. So, we went together and it was just the most amazing time ever," said Bowen-MacLean, who said they've been virtually inseparable since middle school. The girls met at a United Church summer camp for families. Growing up with an older sibling with intellectual disabilities helped Bowen-MacLean feel comfortable around her new friend from the moment they met. She said fear keeps some people at school from getting too close. "Once you get to know Anne, she's such a great friend. But some people are too scared to give her a chance," said Bowen-MacLean. "She has meltdowns that can scare people." Margaret Williams, Anne's mother, said every day is meticulously planned to avoid triggers. "For example, we were going through this lobby today and there were kids with balloons. I know that's a trigger for Anne and my husband knows it's a trigger for Anne. So Anne goes and screams because she sees these balloons," said Williams. "And that puts people on edge. I'm wanting to get her through as quickly as possible and get her out of there." Going to prom was a dream for her daughter she hoped would come true. But she said the only way it could happen was with Grace by her side. Planning was intricate and involved more than simply picking out the right dress. Changes had to be made to ensure Anne's safety. Crowds and loud music had to be avoided — not an easy feat at a high school prom. Photos were taken at Sullivans Pond before the party instead of the Halifax Public Gardens, where hundreds of other graduates and their families go to take pictures before the big dance. Williams's medications had to be taken at 8 p.m.
"Anti-seizure medications, a mood stabilizer, brain chemistry medications — you can't mess around with the timing. Grace is used to giving them to her," explained Margaret Williams. Anne and Grace danced to her favourite songs in a quiet hallway. But for one song in the gym, where Anne's peers and friends were dancing, the DJ was asked to turn down the volume. "Anne just had the most wonderful time. She got to dance with everyone else. It was like magical," said Bowen-MacLean. 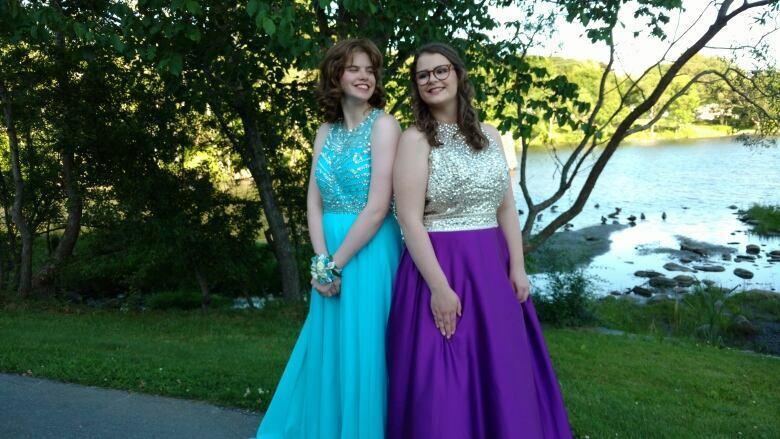 When she talks about her fairy-tale prom with her best friend, it's not all about how it was different but about how it couldn't have been any better. "Anybody who knows Anne knows that she makes you laugh and always makes you have the best time. So being with Anne was really, really amazing." Bowen-MacLean said she hopes more people will see how easy it is make dreams come true with a few small changes. "I think that Anne's story and the prom is really a good example of what inclusion can look like and how everyone can have a great time."